All substitutions must be received no later than 5 business days prior to the start of the event. 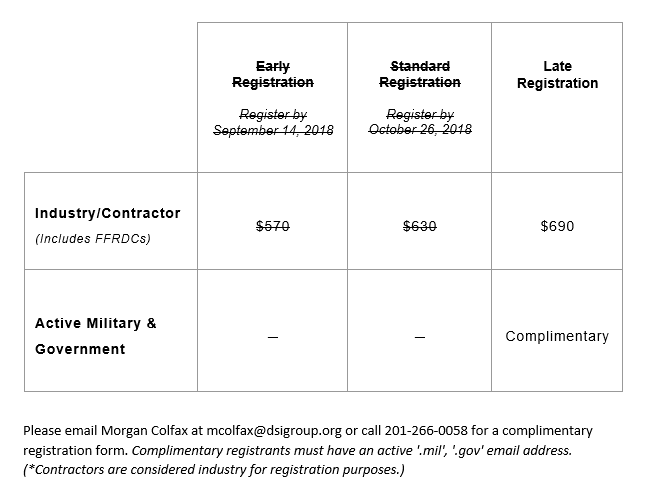 Please send an email with your confirmation receipt and the full name, professional title and organization of your substitute to mcolfax@dsigroup.org. Substitutions made after this date will be processed on-site.